through your corn chowder or Cheerios. This cute bowl is made from molded white porcelain and that snarky shark snout pokes up out of whatever you put in it, from candy to guacamole. There is nothing that this Great White isn't willing to take on, though I probably wouldn't spring this one grandma too early in the morning. Having a creature coming at her out of her oatmeal might be more than she can handle first thing. 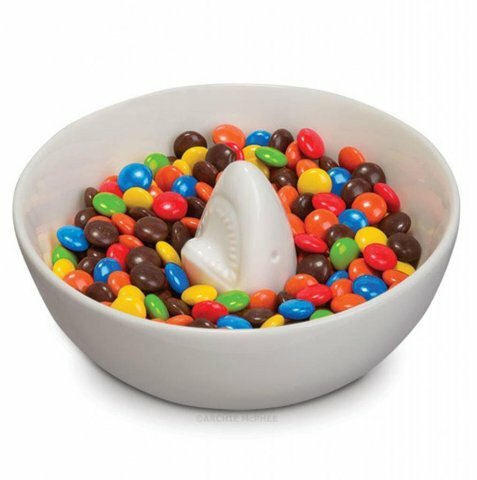 On the other hand this bowl is a great thing to have on hand for your Shark Week or Super Bowl entertaining. It is a cool way to surprise your friends with your sense of humor. 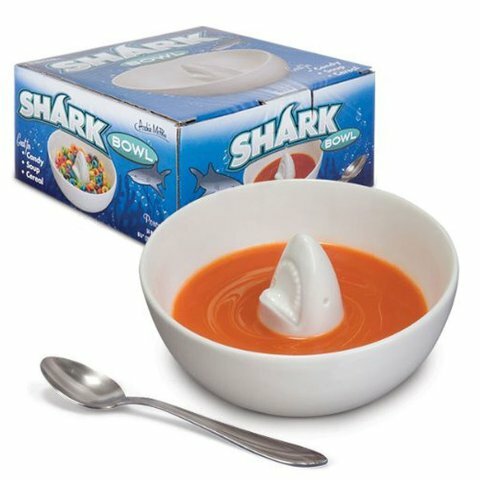 To order a Shark Bowl for yourself or as a gift for a friend, click here.